Looking for the house that has it all? Then look no further. 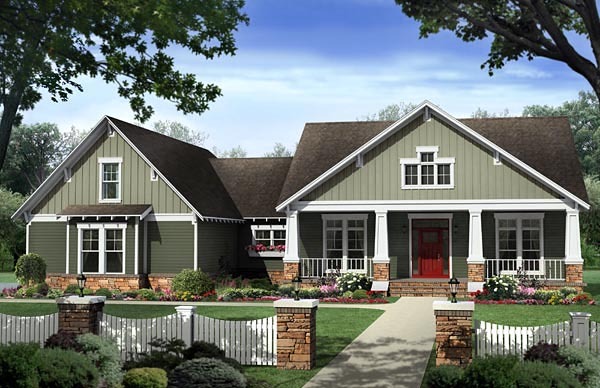 This beautiful Craftsman design features all the things that make a house a home. Four over-sized bedrooms are complimented by large walk-in closets, and the flex space provides a perfect spot for that home office, playroom, or dining room. A breakfast area, and raised bar all provide spaces for those family meals with close access to the fully equipped kitchen. 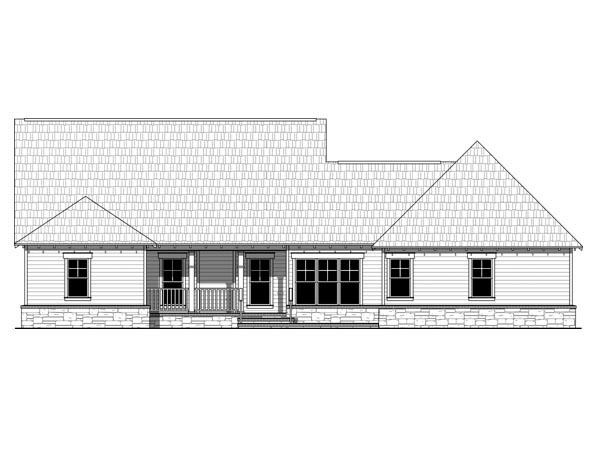 The great room includes gas logs, a coffered ceiling, and beautiful views to the covered rear porch beyond. The master bedroom also features trayed ceilings and the master bathroom leaves nothing to be desired. The expansive garage provides plenty of room for oversized trucks and SUV's and also includes a large storage area. The bonus room provides space for future expansion or for additional storage. This is the perfect home for you and your family! Answer: Sure, See plan 59207 for slab/crawlspace version of this same plan. No basement stairs.